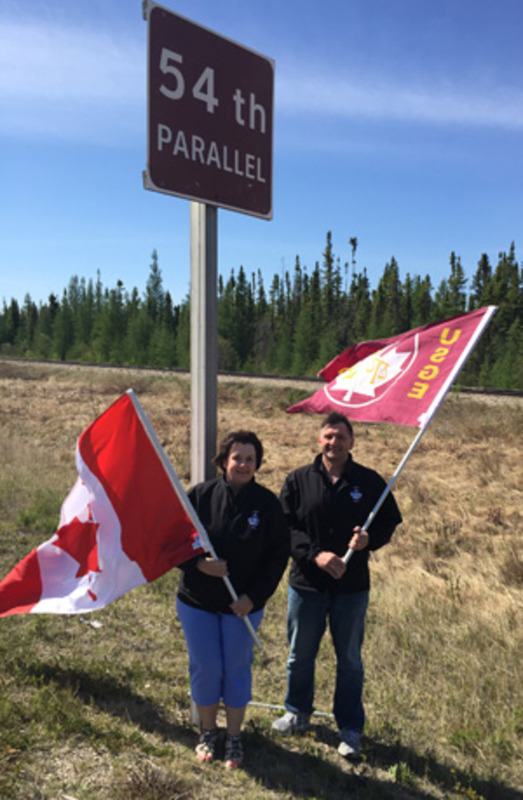 From June 1 st to June 6th, USGE Regional Vice Presidents Jackie Oswald and Frank Janz from the Prairie Region travelled over 1,800 kilometers to visit USGE members in Manitoba. During their trip they visited eight RCMP detachments, many of which are located in more rural parts of the province. 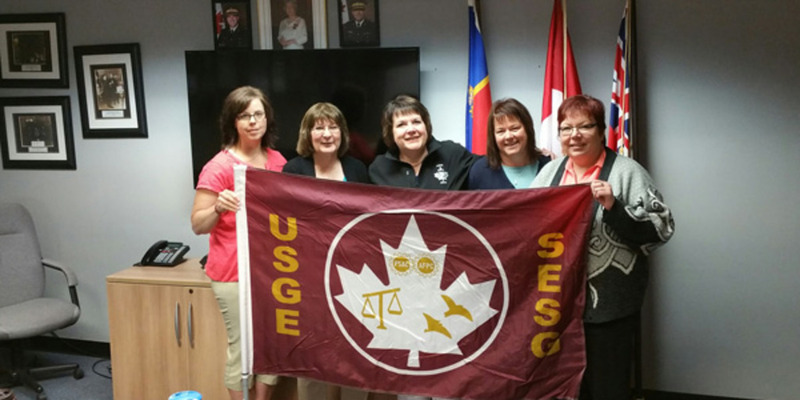 They also visited members who work for the Public Prosecution Service of Canada, Justice and CSC. During their visits, Jackie and Frank shared information on USGE's Public Safety campaign, and listened to USGE members' thoughts and concerns. More often than not, members ended the visit by asking "What can we do?" Sister Oswald and Brother Janz encouraged members to connect with their Local Presidents and to work with them in organizing events in their communities or to set up meetings with their local MPs. These events and meetings will help decision-makers and the public better understand the key public safety work that USGE members do every day. On June 5 th, David Neufeld, USGE's National Vice President joined Sister Oswald and Brother Janz in addressing USGE Members and several CAPE members in Winnipeg. David underlined the importance of USGE's public safety message. The next day, Sister Oswald, and Brothers Neufeld and Janz travelled to Selkirk, Manitoba, where they were joined by a number of members and others in front of local Member of Parliament James Bezan's office for a BBQ. During this event, USGE members hoped to share their perspectives about recent cuts and changes to public safety with Mr Bezan. Being that he was out of the country, his staff were able to schedule three follow up meetings for him, on his return, with USGE members who are also his constituents. Two local media outlets covered the event, underscoring the work of USGE members in keeping Canadians safe and secure. Reflecting on their travels, Sister Oswald and Brother Janz were encouraged by the commitment and energy of the USGE members they met. "Our members are committed to the public safety of Canadians and we're here for them".